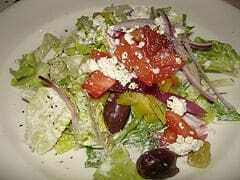 Do you like Greek Salad? 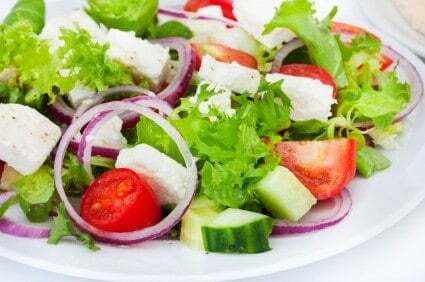 You can easily make Greek Salad at home. Fresh cucumbers, onions, tomatoes, and Feta Cheese make this salad special. Natasha’s Cafe generously submitted this recipe. Please visit their website to see more. You can make the Natasha’s Greek Salad with this easy recipe. I love Greek Salad. This dressing was really good!